This is #9 of 80 Provinces of the Philippines in alphabetical order. I’m doing them in alphabetical order because it seemed to be the best way to tackle 80 of them. 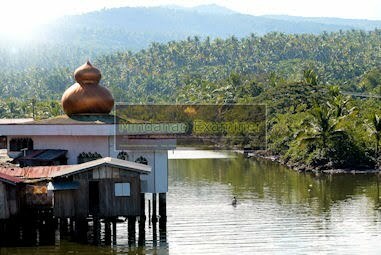 The Province of Basilan (Lalawigan ng Basilan in Filipino/Tagalog; Provincia de Basilan inSpanish/Chavacano) is an island province of the Philippines within the Autonomous Region in Muslim Mindanao (ARMM). Basilan is the largest and northernmost of the major islands of the Sulu Archipelago and is located just off the southern coast of Zamboanga Peninsula. Its capital, Isabela City, is administered as part of the Zamboanga Peninsula Region. Useless Knowledge: About 27 tons of dust rain down on Earth each day from space, making a total of almost 10,000 tons each year. 16 Aug – Hits @ 0139 = 929149 = 10296 (24 hrs, 48 mins). That’s more than 30 minutes over 24 hours so I don’t count it as being a record. It would have been close though if I would have been on time. I was late doing the post and while I was trying to get it out, I let time slip away. It’s okay though, it’s not crucial for me to have it everyday. If it was I would have a timer set for it. My official “got out of bed” time was 0844. I got up, got dressed enough to be seen in public, grabbed my book, glasses and note pad, stopped in the kitchen to make a couple of peanut butter sandwiches, to grab a Red Pepsi from the refrigerator and … whew! … by then I was so tired I had to go back to bed. Just kidding! I headed out to LolyKat. I was just asking one of our regular customers that works at the Ciriaco about the prices there. He said that the price is still at half and he believes that it should stay that way until December. He says that he reads my blog and he likes it. He is a regular customer here and comes by at least twice a day when he is working. He gets a drink, usually a Mountain Dew, and a Marlboro cigarette. He didn’t say the beginning or the end of December, so I’m not sure of that, but I will relate any more information I find out about it in a later post. So the prices listed on my Calbayog Hotels page are still valid. Titing is out at the picnic table talking with Vicky and Sally. That is unusual for this time of day. Normally he is in the warehouse working. I guess he somehow got caught up on his work. It’s good that he gets a break now and then. I wish I could do something extra nice for both him and Neneng. Heck, I wish I could do something nice for all the relatives here. Especially the first cousins because they have been so very helpful and wonderful since we’ve been here. Even the one in Tacloban (Jun) and the one in Tambis (Bebie), along with their family members, have been nothing but great and help out as much as they can. Some day soon I’m going to do something wonderful for all of them. Maybe not all of them together, maybe so, but it will be something wonderful. I was bored so I put some plastic bags on the Pepsi bottle. I know, what does that mean? We have an empty 1 liter Pepsi bottle, since Coke is taboo here, and we put the bags over the bottle so it will be easier and faster for whomever is giving out food to get the bags. The bags are used a take-out containers and sometimes they are used as gloves and then take-out containers, as in the case of the banana balls and banana ques. Just pick them up while holding the bag and then let it slip inside. The bottle is easier than having to dig in the bag to get one of the folded plastic bags inside. Remember last post I mentioned that Chatty was going to school late? Well Lita says it’s because they are having tests and they do not give the tests to all the students at the same time. Maybe they don’t have enough tests, I don’t know. I’ve been thinking about starting another blog, again. So I did. It’s called “Sometimes Stupid Thoughts on Facts”. It is at this location: http://stupidthoughtsonfacts.blogspot.com/ . Of course I tried to do another blog before and gave up on it. I didn’t know as much about blogs the last time though. I’m more confident in myself now. I will not be updating the new blog often though. For now it will be updated probably only once, maybe twice a week. I do have 1 post there now. It’s not very long, but it’s what I had on my mind when I considered doing the blog. What I plan to do with it is 2 things. One I will pick a subject, give some information about it, pros and cons, ups and down, backs and forths, whatever it will be, I will tell you what I think about it and I hope that people will respond with their opinion of the subject also. The other thing I will do is just what I did with the first post that is there. Sometimes weird things pop into my head and when they do, I will write them down and transcribe them to the blog. I should warn you of a couple of things though. Sometimes very strange things pop into my head. I will be keeping it clean though, the X-rated stuff in my head will stay there. The second thing is I plan to get into debating about some pretty powerful stuff, like “War in the name of Religion”, “Is there a God?”, “Does Satan Exist?” and of course the supernatural and UFOs. If it starts getting a lot of hits I will start updating it 2 or even 3 times per week. I may need some help on things to write about there, so if you can think of something that needs to be discussed, even if it is controversial, then lets hear it. I don’t get weird things like the fly thing in my head all the time. I’ve already gotten the link for the new website on this website. It’s under “My Other Blog”. As I was sitting in LolyKat, this crazy guy came by and starting saying Merry Christmas. Then he was asking me for money. Come to find out, he really is crazy. He walks up an down the street doing weird things all day. Oh great, there are 2 or 3 crazy guys walking around here. This is not the same one that was messing with the security guards at the Ciriaco Hotel a week or so ago. At 3:10pm Lita wanted me to go back out to the store. I finally made it out there about 3:40pm. I was preparing my first, and probably last meal of the day. It was just the leftover lasagna from yesterday, but I made some chicken broth with a Knorrs cube and reheated the noodles in there. I was okay, but I liked the spaghetti that I made a couple of days ago, much better. Useless Knowledge: Johnny Carson delivered 4,531 opening monologues during his 30 years as host of The Tonight Show. It’s 4:10 and we just had a sudden downpour. Lets see how long it lasts … only 3 minutes. It’s still raining a little, but not much. I’m going back inside the house. Hardly anyone is coming to the store and I’m tired of sitting here. It’s 4:57. I read my book for a little bit, then I fell asleep for about an hour. It’s 6:43 now and I’m back in the computer room. Lita and I were talking earlier and we both agreed that we needed to get out of here for about a week, or at least a weekend. Unless something spectacular happens like winning the lottery, some MJTS customers or people start buying a lot of products from the affiliates on this blog, then I doubt we can do that until probably January. Even then, we should be saving money to go to Texas in March. I’ll see what I can do. Cebu Pacific has sales all the time for traveling, and since we don’t care where we go, if I can find a way to get some money, I’ll find a flight for us for a weekend. We never did get to see Hong Kong properly and Korea has been on our radar since we’ve been here. We’ll see. Here are the other things I was talking with Titing about a couple of days ago. I found out that he is in favor of the United States having a military base here in the Philippines, especially in Samar. He told me some things that are not any different than what happens in the States. Things like how big businesses get away with not paying taxes, rich people too. Big company kickbacks and crooked politicians also was brought up in the discussion. Titing also wishes he could visit the States, but he doesn’t think he would stay longer than a few months. I’m trying to talk him into getting his and Neneng’s passport so we can bring them with us when we go to Korea. I’d like to get them to Osan AB and take them to the Commissary, BX and NCO Club. Maybe after visiting he could better understand why I complain about the quality of some things here, especially things like beef. I use to take simple things like roast beef for granted when it was readily available at any supermarket in Texas and I hardly every bought it. When we get to Korea, I will for sure get some in the Commissary. You can bet that we will be eating steak at the NCO Club also. Useless Knowledge: In March 1996, Pizza Hut and Taco Bell cancelled their $5.4 million sponsorship of ABC’s new The Dana Carvey Show after some of Carvey’s humor “went too far.” One sketch that offended the sponsors featured a dancing taco that kept telling Carvey that he was a “whore” for pushing the sale of Pepsi products. 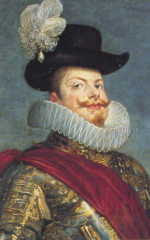 1599 – King Philip III writes Francisco de Tello de Guzman, colonial Spanish governor of the Philippine Islands, informing the latter of his order for Nueva Espana to send able settlers to the Southeast Asian colony; the communication, which came about a year after the monarch gained the title of Rey Felipe III, is contained in two letters of the same date that commends Tello for the restoration of peace [translation: successful subjugation of the rebelling natives] in Mindanao and Pampanga and, as well, asks for advice as to whether he, the king, should increase duties on Chinese goods; Spain, has “discovered” [read: first learned about] the nearby and future colony the Philippine archipelago (Islas de San Lazaro), some seven decades earlier during its several attempts times to gain control of Moluccas, the so-called “Spice Islands” (future Indonesia] beginning with the Magellan expedition of 1521. “I’ll just remember to be the best person I can. Fate will find me when it’s ready for me, and that’s no coincidence”. Thanks Jake. You know I just thought that line as I was typing, it just came to me. Perhaps your are right. Maybe something is stopping you from committing all the way because you need to stay the current path for now until either you or someone you are associated with, completes something. Who knows what the heck is going on, I sure don’t. I just hang around and be me. As Doris Day would say, “Whatever will be, will be. The future’s not our’s to see. Que sera sera”. I was wondering why you leave the comments for the other blog here instead of at the other blog? For the life of me, I tried to look for entering my comments in your other blog but I couldn’t without signing up for a Google email account. Or is it something very easy and I can’t see pass my nose…he, he. You mean you don’t see where you can enter comments at the bottom of the posts? Just click where it says “0 comments”. It shows up on mine, but I have a Google e-mail, so I don’t know if that makes a difference. I don’t see why you should have to though. Take a peek at it again. After each post should be a place to enter comments. If it is asking for you to do something you don’t want to do, let me know and I’ll see if I can fix it. If it is, and I can’t, then I just won’t have a blog there anymore. I hate it when a site tries to get me to do something I don’t want to do. I can always get another WordPress account, but the Blogger one is easier to start and is easier for beginners. It doesn’t have as many options though. It’s has enough, just not as many. Sorry it took me so long to answer. For some reason I just didn’t see that comment there. Well she is the manang of the family so that has some pull. I’m sure that if it wasn’t for the rest of the family helping us, we probably would have moved back to Texas already. I’ve got the next post on that other site already, Fate vs Coincidence. I just put it there tonight. My next one on the list is UFO’s, but it will probably be next week before I put it in. I’m not sure if you went there before or after I posted it though. Glad you like it and hope many others do also. Although it seems like no one looks at this comment section, especially recently, it’s the best place to leave this message right now. My Internet has been done since Saturday night. It’ is now Monday afternoon and I’m back. I had to have my modem replaced again. Anyway…I”ll be back on later to get caught up on everything. There will be a lot of “My Posts” done later this afternoon and tonight.